Wade Wilson / Deadpool, portrayed by Ryan Reynolds, is foul-mouthed mutant mercenary. 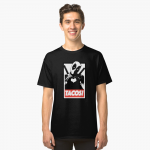 You could cosplay Deadpool in his official costume (like everybody does) or maybe you'd rather be different (like Deadpool) and dress up like he does when he's not fighting the bad guys. 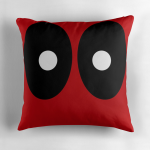 Properly cosplaying like Casual Deadpool will be less expensive, more unique and ... more easter-eggy! In Deadpool 2, Deadpool creates the X-Force team to protect a young mutant from the time-traveling soldier Cable. 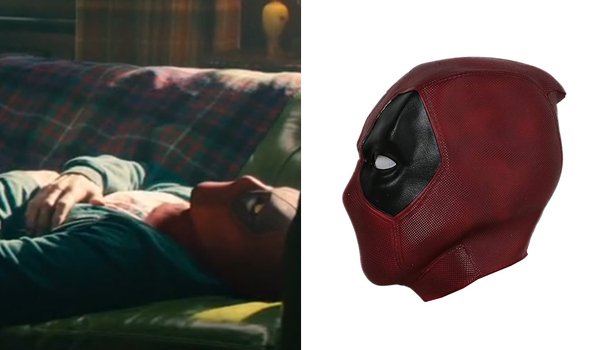 The mask that Ryan Reynolds wears in Deadpool and Deadpool 2 for his role as Wade Wilson aka Deadpool is a red and black mask custom made for the movie. The xcoser Deadpool Mask is a great replica at an affordable price. 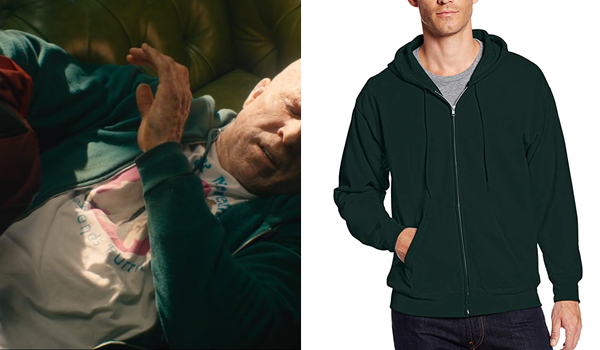 The hoodie that Ryan Reynolds wears in Deadpool and Deadpool 2 for his role as Wade Wilson aka Deadpool is a simple forest green zippered hoodie. The Hanes Forest Green hoodie is a super close match and it's affordable. 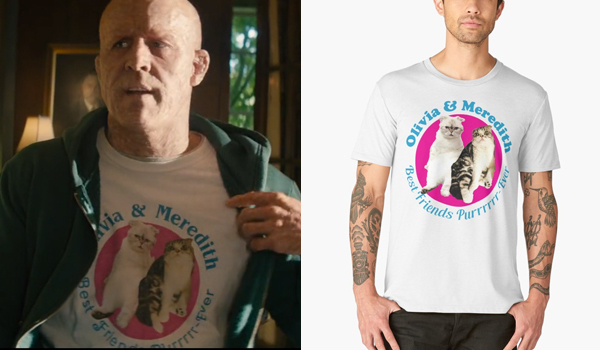 Here's the best replica tshirt. 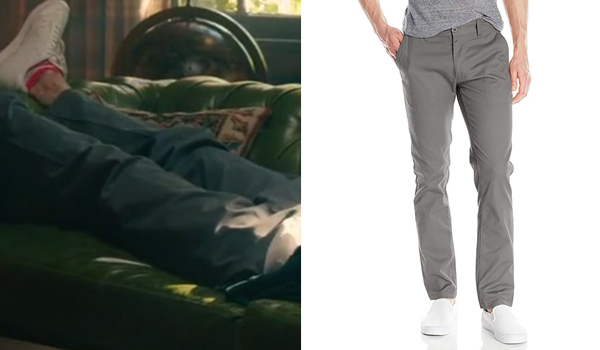 The pants that Ryan Reynolds wears in Deadpool 2 for his role as the casual Deadpool are grey chino pants. The Brixton Reserve pants are a close match. 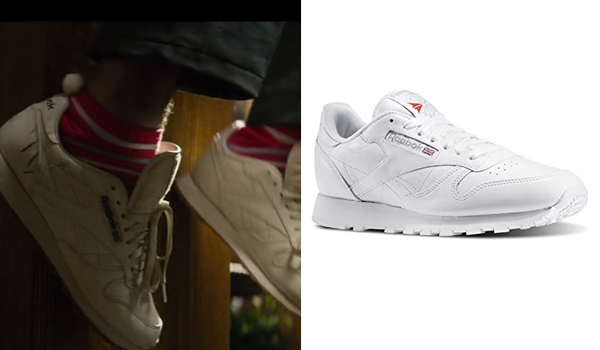 The shoes that Ryan Reynolds wears in Deadpool 2 for his role as the casual Deadpool are white leather sneakers. They are Reebok Men's Classic Sneakers. 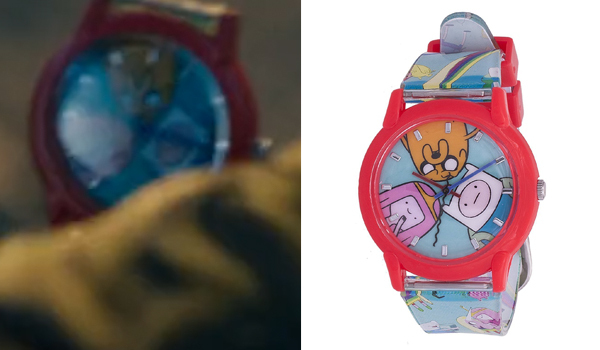 The watch that Ryan Reynolds wears in Deadpool 2 for his role as Deadpool and the casual Deadpool is a kid's watch with cartoons. It's the Adventure Time watch and is a great fun addition to the costume.